Jump out of a plane at 13,000 feet and free fall at 120 miles per hour with your partner, your officiant, and anyone else brave enough to join! Pros include: Spectacular views; mixing the adrenaline rushes of free fall and committing to your life partner. Cons include: About 30 seconds for the entire ceremony; if your parachute doesn’t open, you’ve only got another 30 seconds to be married. 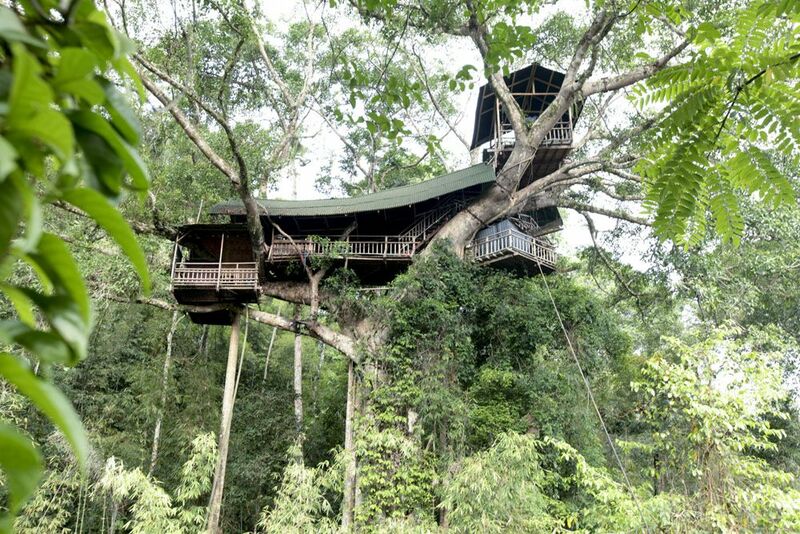 Ever dream of staying in a Swiss Family Robinson-style treehouse? In the country of Laos, you can stay in a variety of truly incredible treehouses built hundreds of feet above the jungle wilderness. Bring a local priest and get married in a picturesque natural setting. Pros include: The only way to and from the treehouses is via zipline, an adventure of its own; wedding guests include lots of fellow primates swinging through the trees. Cons include: Rainwater showers sound romantic but they’re actually icy cold; wildlife is great – until it consists of native tarantulas and scorpions. Eight more amazing and outrageous ways to get married, published on Honeymoons.com! To continue reading, click here.